Our first class will focus on fabric selection and cutting. 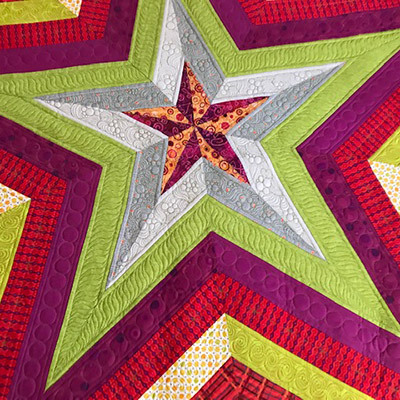 In our second class, we will sew and assemble your Star Storm quilt. Together we will explore color and contrast which makes each star quilt unique. Download the list of materials you will need to bring for class, which also includes more info on registration.